Improve Indoor Air Quality. Improve Airflow. Like everything else in your home, your air ducts collect dust and debris over time. Dirty ducts not only cause respiratory health problems but can also serve as a breeding ground for dust mites, mold, bacteria and other fungi. This is why A/C and ventilation duct cleaning should be a regular maintenance in your home. 1. Unscrew one of your vent/register plates. 2. Get a flash camera and stick it in the duct work to get a snapshot. 3. If your photos reveal huge dust bunnies, dirt, and debris, it’s time to call a professional in. You can do a little cleaning around your air duct with a wet rag, but you won’t be able to clean the vast expanses of your duct work without professional equipment and expertise. Having all of the air conditioning ducts in your home cleaned professionally by Acree Air Conditioning will benefit you and your home in more than one way. A/C duct cleaning kills germs and other bacteria – After your entire duct system is thoroughly vacuumed, we sanitize your system components to kill and prevent the spread of germs and bacteria. Removal of dangerous mold and fungi – The A/C duct cleaning process removes the physical presence of many different types of harmful pollutants, including mold and fungi. Asthma and allergy relief – Duct and vent cleaning services are an important step of a whole-home cleaning strategy that will help relieve your asthma and allergy symptoms. Cleaner and healthier air – Our professional team at Acree Air Conditioning will clean all the components of your forced air system, including your ducts, registers, grills, diffusers, heat exchangers and cooling coils. Improved system efficiency – Dirt and other airborne pollutants can contribute to an inefficient HVAC system. Heaters and air conditioners operate more efficiently with cleaner intake air. Removal of foul odors and dust – Our thorough duct and vent cleaning service will remove the cause of any odors in the ducts, leaving your home fresh and smelling great. We take the health of your home’s indoor air very seriously. 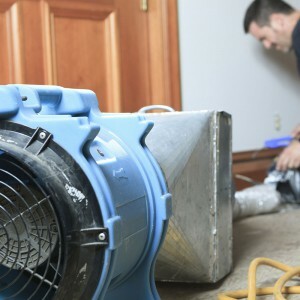 If you notice that your home is extremely dusty, has foul odors or someone in your home struggles with asthma, allergies or another respiratory problem, you may benefit from a whole-home vent and duct cleaning service or another air quality service from Acree Air Conditioning. Cleaner air ducts also means better airflow in your home, increasing your system’s lifespan and reducing the amount of hot and cold spots in your home. Get cleaner, more powerful performance from your central air conditioning system with one quick call to Acree. Take the first step to cleaner and healthier air by contacting us online or calling us at 1-800-937-6736 to schedule a consultation with one of our air quality experts about your air conditioning duct cleaning options.